I’ll celebrate this day every year for the rest of my life! Dreams really do come true. This day 4 years ago, I accomplished a major milestone in my life. I became Author Christin Webb. I self-published my first fiction novel, Enough Time. This book began the platform for my Passion Living Out Loud movement because I know without my passion and faith, it never would’ve been printed. It has been purchased by many readers nationwide and hopefully it’s message permeated the thoughts of all whose eyes it reached. The same little girl that has been writing since she was seven saw one of her greatest desires come to life. Since the book’s release, I’ve learned so much, have had other work published in several literary mediums, transitioned to writing for film, and simply continued to follow my literary dream. There is so much more for me to do as an author and I promise myself that I won’t let this God given talent and passion go to waste. The best is yet to come for those that do not sleep on their passion. Be inspired to follow your dreams, dismiss the perceived downfalls or slow movement, knowing that in perfect timing God works it all out. To everyone that was a part of this dream; the journey, whether it was purchasing a book, writing a review, being apart of the book trailer, sharing info about the book, etc THANK YOU. This list isn’t about showing off or boasting about accomplishments, it simply speaks to the importance of timing. Not just timing, but perfect timing. I was in a conversation a few days ago with a co-worker. It started out about lifestyles, then moved on to careers and happiness of the job, and somewhere in the course of the discussion we talked about how some people race to complain about their current situation. “I should’ve gotten that job.” “I deserved that more than they did.””I wish I had this or I’d be happier with that.” Truth is we are where we are for a variety of reasons, but we have to accept that the ‘right now’ factor is not the ‘coming tomorrow‘ factor. I’ve been guilty of the ‘right now’ mentality and have to make conscious efforts not to get caught up in what my now looks like. How do I do it? It’s in no way easy, but I try to remember the ‘once upon a times’ and how they became my ‘coming tomorrow’. There are so many of those moments. Sometimes I literally have to make a mental or physical list to remind myself that my ‘right now’ is no different than my ‘once upon a times’. Your right now is clearly a transition; a catalyst made up of time as you head to your ‘coming tomorrow’. It’s all about perfect timing. What isn’t reflected in that list is all the minute growing pains and gains that took place. What one can’t see from that list is the burst of maturity, the acceptance of change, and the faith to know the difference. I think back to what was going on in my life when I was facing a ‘could not’. I remember who I was during those times and let’s just say I’m thankful that I received them all; even as unfair as it may have seemed then the timing wasn’t for me. Now isn’t always the time for some things to happen. That’s why patience was created. We have to have it. We have to accept it. We have to live with it. It’s imperative that at the front of our brains we keep the ‘GOT’, ‘ABLE, and ‘DID IT’ present. You don’t ignore that there was a ‘did not’ ‘could not’ or ‘not able’ , but be positive knowing that they are only temporary and with faith, growth, and maturity the best is yet to come. Try making you a list today or any day that you start questioning your current situation. If you notice, the last thing you should ALWAYS have on your list is the ‘WILL’. The will to be faithful; to make the right decisions; to accept growth; to know that forward is all you WILL accept. Keep forward with the WILL passionistas! Your ‘coming tomorrow’ is just around the corner! While some people’s motives may make a little sense, there are others whose actions have absolutely nothing to do with nothing. It’s so easy to spend time trying to figure someone out; trying to know why they may have offended you; why they make less than smart decisions; why they do things that you know just don’t make sense. Save you, your brain and your heart some energy and remember that often times, people’s actions are merely a mirror of their emotion, not of their logic. The actions aren’t necessarily well thought out or even thought about to begin with. We are emotional beings battling making rational actions most every minute of our lives. Some people are more successful at the task than others. And guess what? You can’t spend much time trying to make sense of their battle. Just remember this saying when you’ve been wronged, confused, or left uncertain as to what made someone do what they did. It’s not for you to figure out! I haven’t had anything recently happen that motivated my pen to this point, however, as I did my daily reflecting it hit me. I wanted to share with my readers that your valuable time in life should be spent pondering life’s wonderful moments, people, and things. It allows you more time to spend towards your passion; towards you. I thank my dad every day for dropping that invaluable nugget into my conscience. I’ve never forgotten and it makes it easier for me to focus on what really matters in life. Share this short nugget of living life out loud, on your terms and not bound by anyone else’s. The worst thing a person can do is consciously or subconsciously walk around with a chip on their shoulder. As light as an actual chip is perceived to be, having a chip on your shoulder is one of the heaviest burdens an individual can CHOOSE to carry. Is it true that life can throw some horrible things our way? Undesirable situations for sure. Is it even more true that people can and will offend us? In the words of TD Jakes, life is full of offenses and they are not going anywhere. It’s a persons level of maturity in life that allows them to keep moving forward regardless of what has made them feel uncomfortable, alter positive outcomes for them, or left them feeling violated and stressed. As a survivor of domestic abuse, I know what it’s like to have the option of being mad at the world; at my abuser even more, but somewhere down the line I’ve realized that I couldn’t let those moments in my past hinder me from my future. There have been jobs I’ve interviewed for and not been offered the position. There are people who have out right left me feeling lonely and angry. In all of those situations, I’ve been able to move forward and keep a positive outlook on my future. I refuse to carry those moments as heavy baggage into my future. They are moments that I’ve not allowed to become chips upon my shoulder, yet building blocks and learning tools for how to deal with the next similar type person or situation. Those would be chips became some darn good eating. Today, I urge you to LET IT GO! Move on from that place of angry, disappointed, self-destruction or annoyed. Move towards that place of healing, freedom, potential, and resilience. 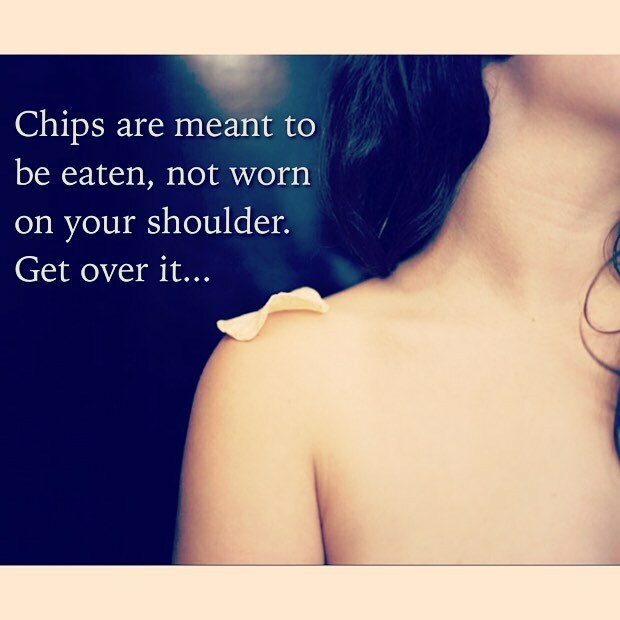 Dig deep into that bag of chips and eat them one by one; never letting them rest upon your shoulders! Until the next post, passionistas, continue living passionately and do it out loud! For the last three years this blog has continuously stressed the importance of following your passion, striving to be the great you, and working towards success. In between a lot of the theoretical jargon, there have been posts about steps on obtaining those goals of success or passion(s). 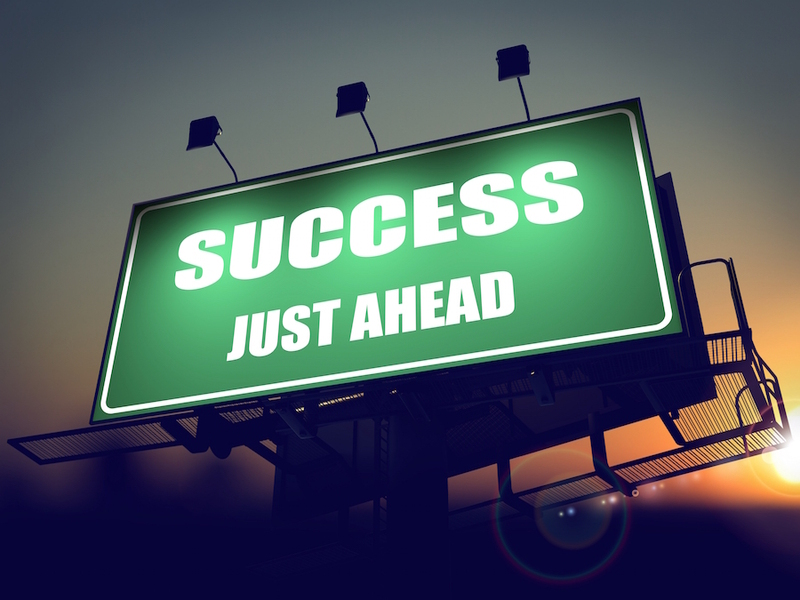 Today, I want to focus only on the practicality of success. Must you believe in yourself? Must you have an undeniable attachment to what your passion(s) or goals are? Is faith clearly apart of the process to reaching said passion or goals? But of course. Without works, faith is dead according to James 2:14-26. This scripture couldn’t be more evidently true. Yet, sometimes we have to pull our heads from out of the clouds and let our mental desires align with our body and just do it. You may have a passion or goal to gain a specific position at work; you may want to gain new clients for your passion of baking; you may even desire to become a playwright. Whatever that burning desire or passion is, its only that without the required action. Success is practical, not just theory. Theory is good because it gets us to thinking about what we want to do, but being practical gets us to obtaining that desired outcome. What’s the point in traveling the path of the rainbow and never getting to the ‘pot of gold’ we always hear about? Much of what I’ve accomplished to date didn’t come with me only believing in myself. It came with me actually taking the steps required to become author, screenwriter, or professional Christin Webb. I had to research. I had to study. I had to earn multiple degrees. If today you have a goal, but aren’t putting your feet to the pavement, I urge you to sit down (don’t stay there long though) and devise a plan. The old school way would be to get a pen, paper and write down what steps are needed to become the great you that you see yourself being. Research and network, then modify those plans accordingly. Create milestones to track your progress. Reward yourself when you have met some of those milestones and when you haven’t. Critique what may have made you miss the mark. Don’t let those missed marks or ‘failures’ deter you from continuing your pursuit. Inquire to some of the same people you networked with to see if they can see something in your actions that you couldn’t. Their feedback may be invaluable. Now if you’re someone who already gets it; you already know what it means to practically chase down success, your task is simple. Share your experiences with those that are currently in pursuit of success. Remember, you were once in pursuit. Reach out to that younger you or that underdeveloped you and let them know that 1) their plan is commendable and 2) constructively provide them with feedback that could catapult them into their next hemisphere of success. Let’s work to not only believe in ourselves; trust that we are capable of achieving those goals and/or passions, but put our bodies in motion and let success know that its ours for the taking! Until the next post, let’s all live passionately and out loud! You may have read the title of today’s post and assumed one of two things. 1) This post is about what it takes to actually be successful in carrying out your passion; what it costs you and your efforts or 2) this post is about what you should charge others to experience your passion. Well guess what? You’re right in both instances. For the last five years, I’ve grown within my passion. I’m a writer. To the very core of my bones, I’m a writer. It’s what I do. It’s what I love. It’s what I’ve learned I’m good at. It’s my passion and without it I’m not a whole person. I’ve also learned that I have a lot to share when it comes to displaying my passion to others. The last couple of years, since my book was published, I’ve had more and more people reach out to me for advice on publishing, tips on basic writing principles, to complete writing workshops, to write speeches and articles for them to present, and more. And for the longest, until recently, I never felt that there should be a cost associated with what I share (other than paying for my book). Well, if you guessed what I’m about to say next, you guessed right. It costs me time, money, and knowledge almost every time I engage myself in writing for someone, conducting a writing seminar, or providing an outline of how to publish or write. I have to consider those costs and how they help me in the long run. I have printed material, time is put into developing the presentation, etc. I know I have to continue to grow my brand and get people to buy into my expertise and doing free things helps to get me there. And I’m sure I’ll continue to do SOME free initiatives. But the point is, I now really value what I have built on. I’ve still got a lot to learn, but for those that aren’t quite where I am yet, they obviously value my knowledge, my understanding and my ability to relay information on writing and so should I.
So… while you should do your passion because it’s what you LOVE to do; you have to be realistic in what stretches you too far. Take pride and value your expertise in your passion. Here are some quick steps when developing your pricing for your services and communicating those charges. Research what others in your area of expertise charge for the service(s) or similar. The best way to be sure you’re being fair about your prices is to see what others are charging. Price gouging is a no-no. So, be sure you’re aligned with the rest of your market. Complete a cost analysis on what costs you incur when providing expertise of your passion. For example, how much do your printed materials cost you? What hourly rate would you consider compensatory for your efforts? Outline your price list for your customer. Be professional. Communicate your prices in a way that is clear and professional. 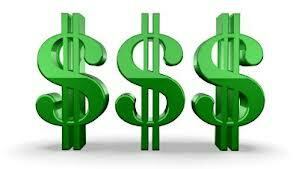 Have a standard well-written document that outlines your costs. Be consistent. If you’re going to have different prices based on various service types, be sure to be consistent with everyone that inquires. People do talk and you don’t want to build a poor reputation of being inconsistent. Tell people your costs up front for doing business when they request your expertise/services on something. Don’ t be apologetic for taking value in your time and expertise/service. Value your worth. If you don’t, the requester won’t. And more than likely they probably will pay someone who does value their worth. I LOVE THIS SONG! HECK, I LOVE WHITNEY! 😉 I can always find a relation between one of her songs and a topic I’m writing on. Yesterday, I was posed with the opportunity to become someone’s mentor. At the age of 32, I’ve been asked a few times, yet each time I wonder what have I done that makes me even qualified to mentor someone. What is it that people see in me that make me capable of mentoring someone on their journey? I start to list all of the things that just might make me qualified. My accomplishments, my background, my struggles, my upbringing, my morals, etc. And at the end of my list, I still conclude that I don’t know why they asked me. Yesterday it hit me though, why not me? Every one has something to offer someone else. Someone or some people have mentored or are mentoring me, so what makes me incapable of mentoring someone? Absolutely nothing. I have some skills and experiences that I have acquired over time that may be very meaningful to someone else’s development. In most cases, I’m asked to mentor someone younger than myself, which made me think of Whitney’s song. The first couple of lines of one of the verses is: “I believe the children are our future. Teach them well and let them lead the way.” That’s the key. That’s what motivated me to respond to the inquiry with a big fat, whopping YES… I’m just as responsible to help others to the best of my ability. Heck, it should be a passion of everyone. To help others along their way. If I hadn’t had the mentors when I was coming up, how would I have become the whole person that I am today? I wouldn’t have. I look forward to taking on the challenge in sharing and providing guidance to my new mentee. Furthermore, I look forward to learning more about myself because of the experience with the mentee. As relates to you and your passion, that’s a great start to begin mentoring someone. There is always someone out there that may look up to you in what you do with your passion. Your experiences with it may be greater than theirs therefore you’ve got some knowledge to share. If you are approached or know of someone who wants to follow a passion similar to yours, offer your guidance, insight, experience (that’s if they’re willing to listen). It’s our responsibility as humans to assist those around us that are trying to grow just the same as you did!